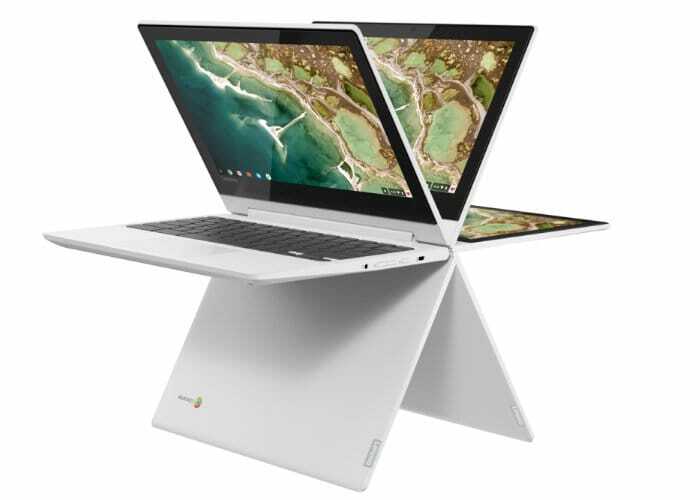 After previously being unveiled a few months ago back in August 2018, Lenovo has now made their new affordable Chromebook the Lenovo C330 available to purchase priced from $279 for the 32 GB version or $300 for the 64 GB version depending on your needs, requirements and budget. The C330 Chromebook is fitted with an 11.6 inch touchscreen display offering users a resolution of 1366 x 768 pixels. Both Lenovo C330 systems are powered by a 2.1 GHz MediaTek 8173C quad-core processor supported by 4 GB of LPDDR3 RAM an offer options for either 32 or 64 GB of eMMC 5.1 storage. Other features of the Lenovo C330 include a USB 3.0 port, a USB Type-C port for power and data, HDMI port, 720p webcam and a handy SD card reader. Together with Dolby audio and connectivity via 802.11ac WiFi, Bluetooth 4.1. – HIGH PERFORMANCE LAPTOP: The Chromebook C330 is equipped with a MediaTek MT8173C Processor, Chrome OS, 4 GB LPDDR3, 64 GB eMMC and so much more. 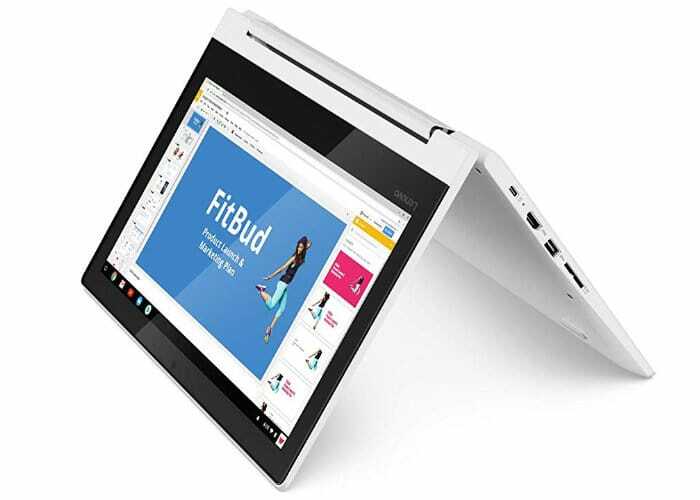 – SLEEK & STYLISH DESIGN: Sleek, stylish and secure, this 360 degree convertible laptop is less than one inch thin and 2.6 lbs. light with a 11-inch FHD IPS Touch Display perfect for day-to-day computing and multimedia, on or offline. – POWERFUL PROCESSING: Perfect for all your daily computing needs, the Lenovo Chromebook C330 delivers a host of performance features. Enjoy powerful processing for daily tasks, LPDDR3 memory for multitasking, eMMC storage for quick boot-ups, fast software loading and additional 100 GB of cloud storage via Google Drive. – BUILT TO CONNECT US: Full I/O support comes standard on the Chromebook C330 with USB-C, microSD and USB 3.0 for effortless connectivity. Plus, this Chromebook also features powerful 2 x 2 WIFI ac with Bluetooth 4.1, a 720p webcam and two 2W speakers for effortless collaboration, all supported via a suite of collaborative apps via Chrome OS. – EASY TO USE: The Lenovo Chromebook C330 is easy to use, offers built-in virus protection and keeps going with long battery life. No setup is needed, just a Google account so your emails, maps, docs, pics stay with you via cloud storage. For more details on purchasing options jump over to the official Lenovo website by following the link below.